Enyi Anosike is a medical doctor with training and experience in the fields of Tropical Medicine and Public Health. 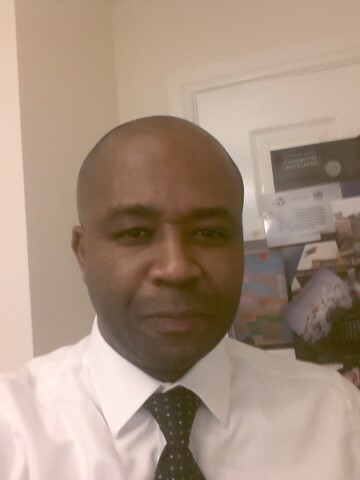 He is creator of the Afri-Impact project, an idea conceived on the back of his experiences training and working as a medical doctor in Africa, with an interest not just in clinical care, but also in contributing to developing systems of health care delivery sensitive to the population dynamics as well as aspirations of African countries. Enyi's extensive tutoring and interactions with colleagues and experts in the fields of health services quality management and health systems development have also played an important part in shaping the thrust of Afri-Impact. Enyi currently serves as a Trustee and Chair of training unit of AmaudoUK, a U.K based charity actively involved in mental health services development in Nigeria, West Africa. He is also a Trustee of the Public Health Foundation of Nigeria. 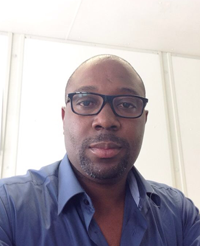 Oke Anosike is a project developer, process Engineer and blogger, and he currently holds the position of senior process engineer within the pharmaceutical industry. He is a co-creator of Afri-impact, and serves as project manager of the project. Oke who is Nigerian, is one of a wave of young Africans that are utilizing the power of networking and web-enabled openness to help move the continent forward. Oke sees connecting, profiling and sharing experiences as a means of breaking the cycle of poverty, under- development and exploitation that currently bedevils Africa, and this has motivated his involvement in the Afri-Impact project. Oke's blog 'anosikeeng' utilizes a simplified approach to answering process and project engineering questions which often bother graduate Engineers. In his day job, Oke's significant contribution to the energy industry has led to the rapid growth of environmentally friendly evaporative cooling units that serve U.K's manufacturing sector. The Afri Impact team includes contributors to the 'Perspectives' and 'projects' section of the website.